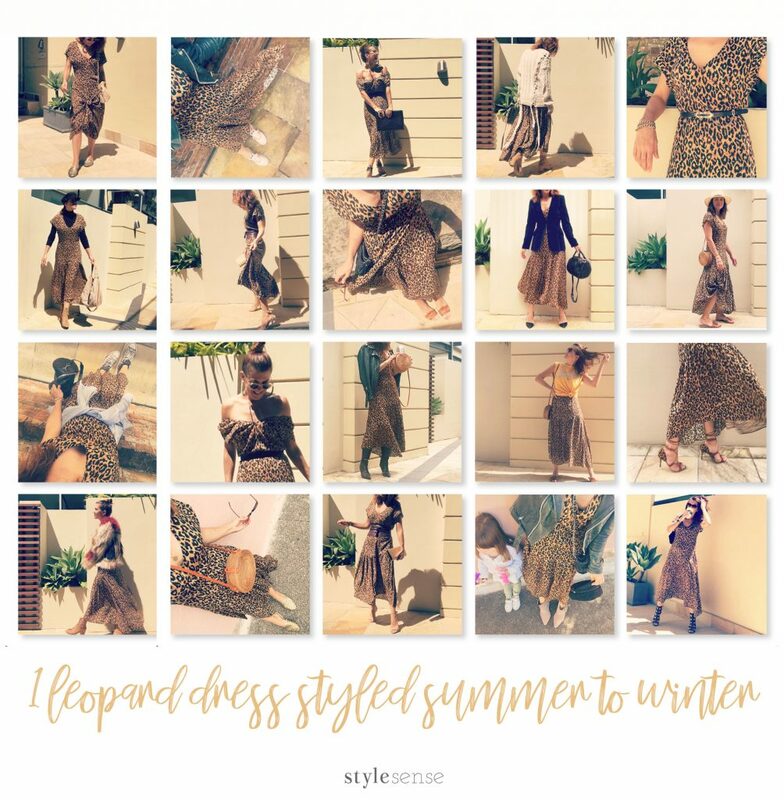 Posted April 11th, 2019 & under Capsule Wardrobe. Well, not literally, but I have considered it (granted, it was after a few wines). 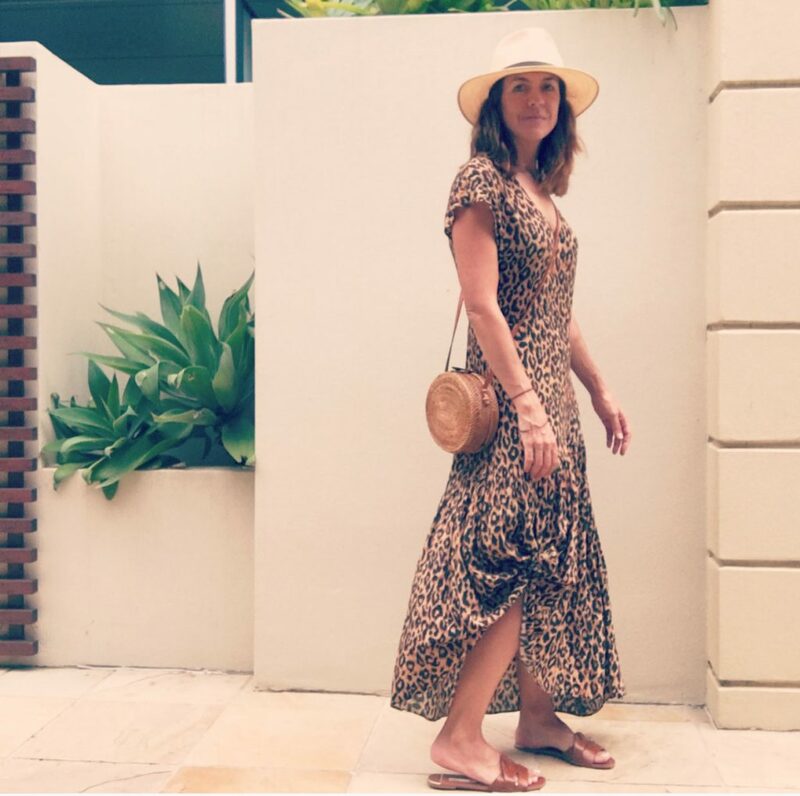 When you buy a patterned dress, you might be mistaken for thinking it hasn’t many styling options, which might be the very reason you decide to buy it – because it doesn’t need anything to look impactful! 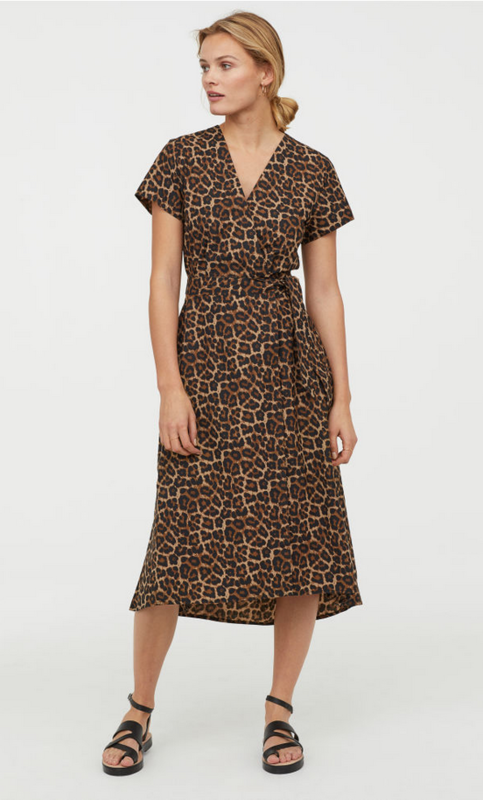 As a personal stylist, I know that a patterned dresses can be just as versatile as a plain dress, see case-in-point, my Cleopatra dress $99 from Zara. I’ve created 18 different ways to wear it that see me through all 4 seasons. Just because I bought it in summer and it’s lightweight, doesn’t mean I can’t wear it through autumn, winter and back in to spring, I just need to learn how to play with it. 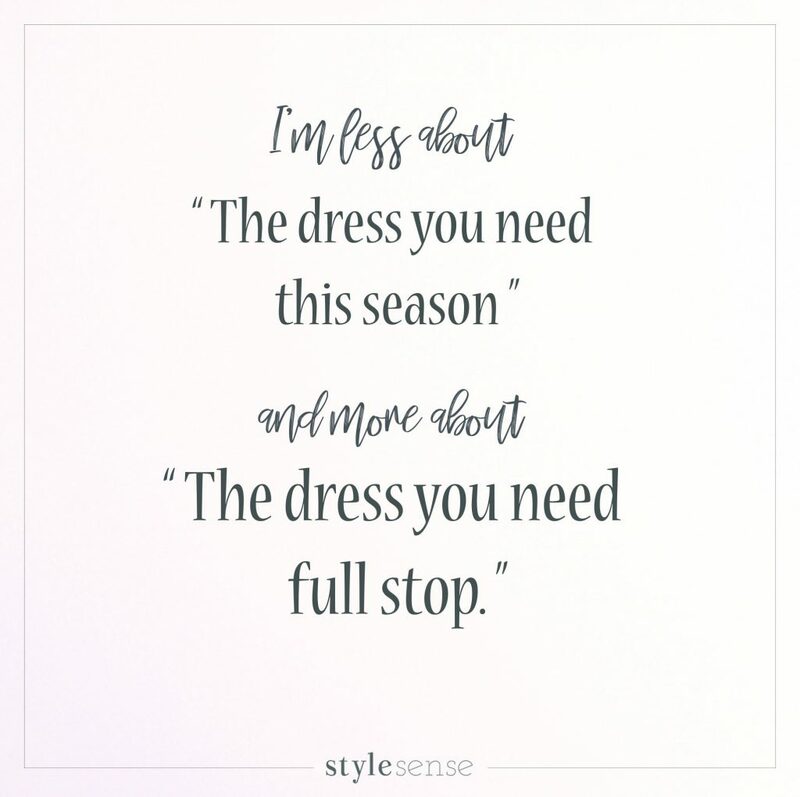 This is always the approach I have working as a personal shopper, “how can I play with garment to add value to it?” And this is exactly what my personal styling services are about, experimenting to reflect different clients personality styles!! You could say its the perfect paradox print!! 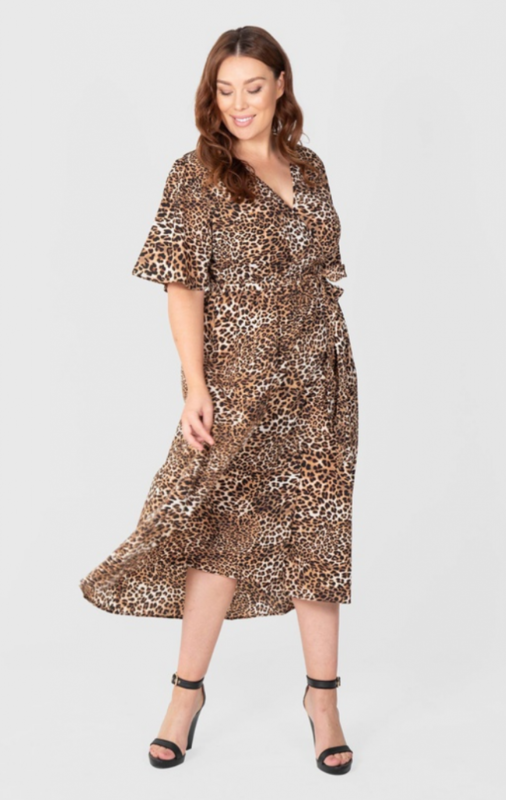 I understand that you might not want to style your version of this frock in all 18 different ways, but my point is exaggerated to inspire you so you’ll be encouraged to try maybe 4 or 5 of them? 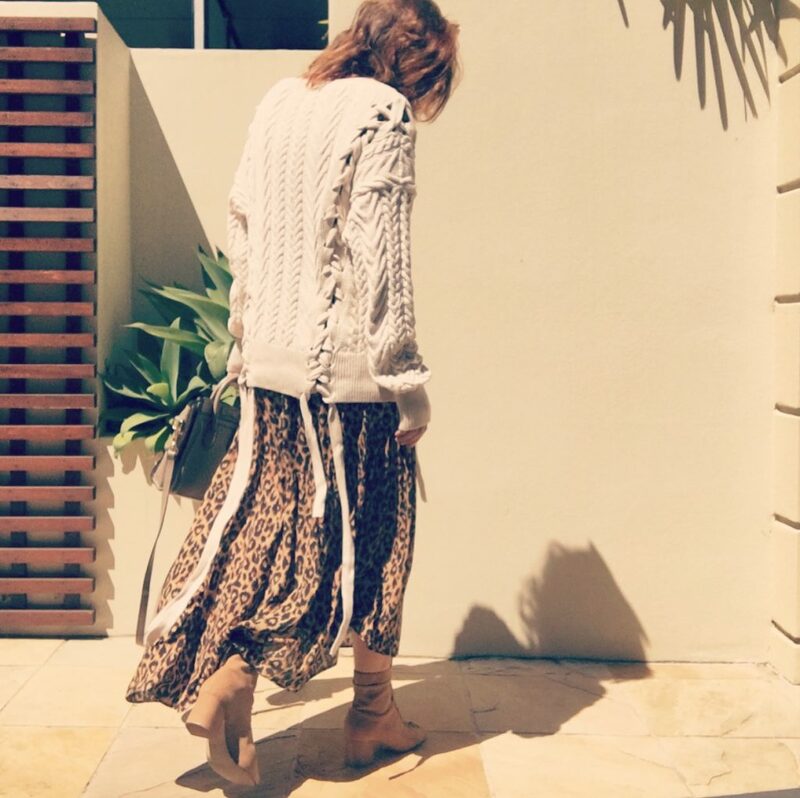 It enables you to experiment with your personal style. 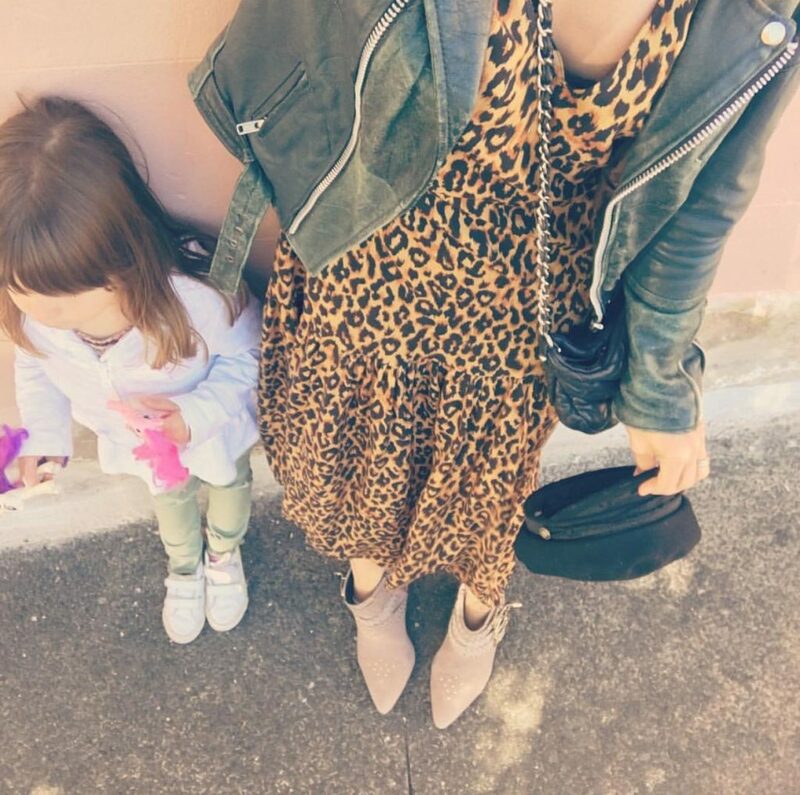 BONUS: You can literally ‘throw on’ this dress – perfect for busy mums! REASON: Yes it has a zip but no I don’t use it, I can throw it on over my head for school pick-up in under 1.5 seconds. BONUS: This clothes style flatters many different body types. I’ve had many clients who have purchased this dress who have very different female body types (some of them pregnant) and live all over the world. REASON: It’s an easy-fit dress shape for most types of body shapes that can use the zip function if necessarily. The dress silhouette has a feminine shape without being too form fitting. Most clients prefer a little arm coverage and the length also works for petites or tall body types, as well as for lots of different occasions! SIDE NOTE: Look, the armhole is a little low, as is the neckline so I’m not claiming it’s a ‘perfect’ fitting garment. And this is EXACTLY the kind of flexibility we should have from our wardrobes Sydney! It fits all dimensions of our personality styles. Perfect business attire for women who are working in a semi-corporate workplace who don’t require corporate clothing, this dress is perfect! 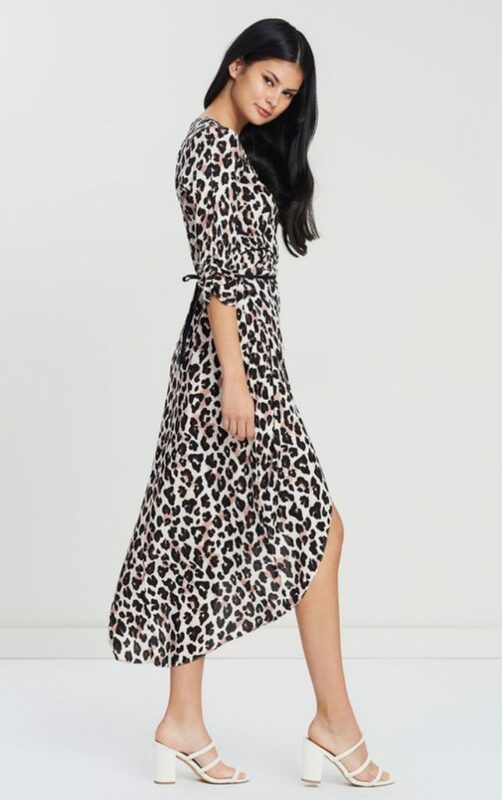 REASON: It’s a sophisticated, classic print in a versatile fabric, in an easy-fit dress shape as well as the fact it can be dressed up and down because…. 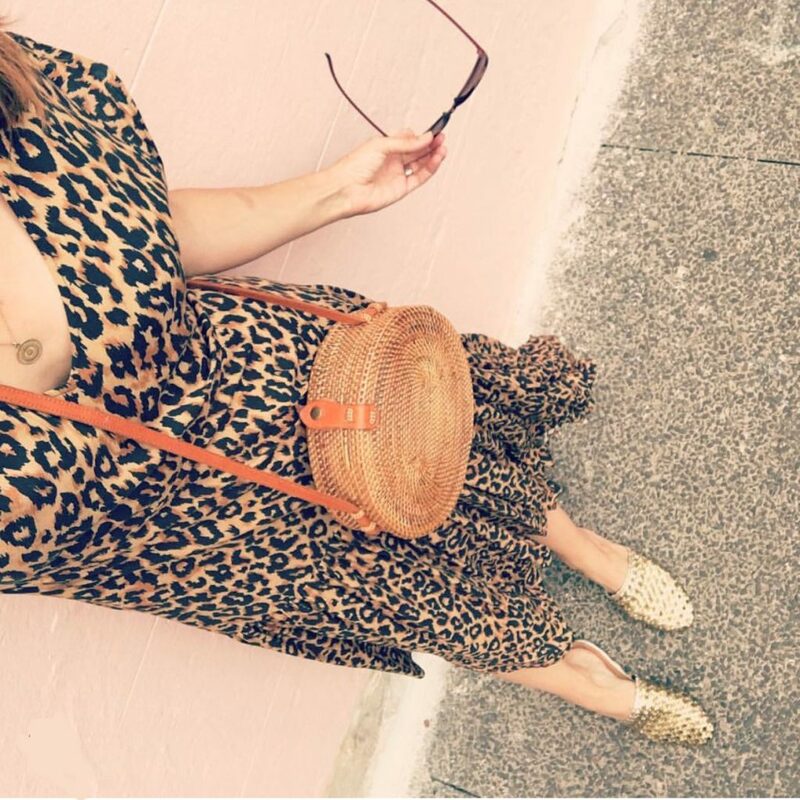 BONUS: This leopard works with black AND brown accessories. Therefore, it’s double as versatile!! Tan accessories tend to look more casual compared to the formality of black accessories so it’s awesome that both shades work – in fact neutral, brown and tan all blend well. REASON: The lightweight cloth means this fashion style can be easily manipulated with a nip, tuck, knot or belt. 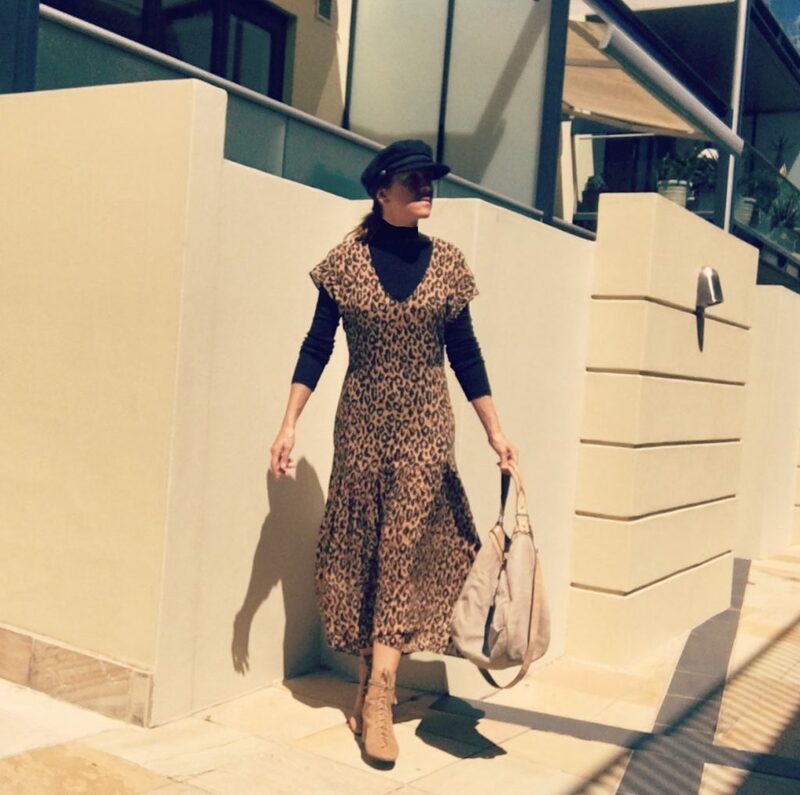 If the sun makes an appearance, you can transform this maxi in to a midi (or a midaxi) without the simple shuffle of a hemline. 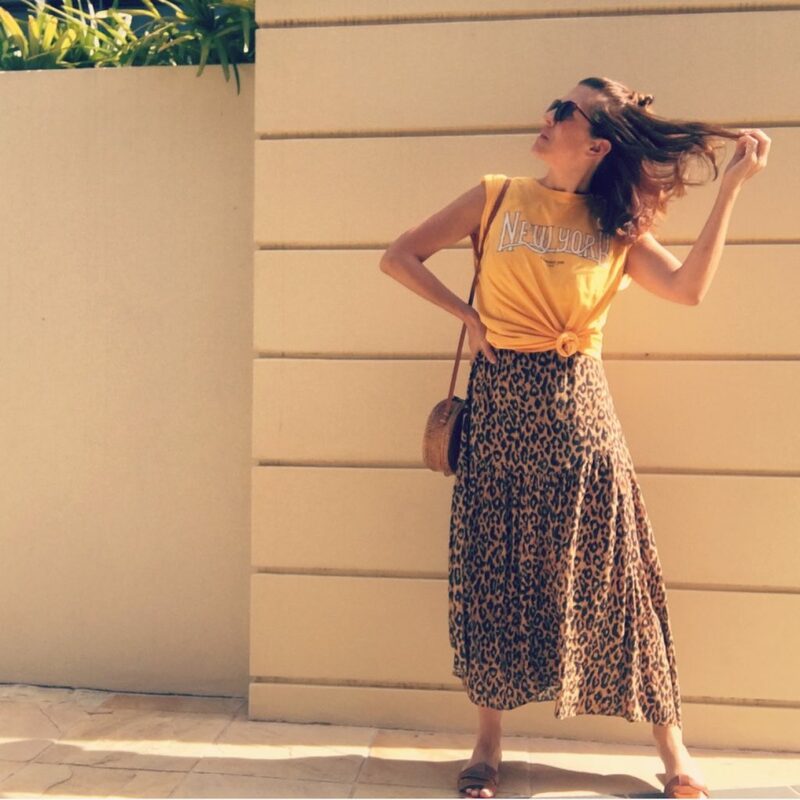 REASON: The low neckline and short sleeve means a t-shirt can be effortlessly layered over with a little knot at the hem to create some waist definition, as if it was a skirt. Alternatively, throw on a knit and let it all hang lose? It’s double agent identity is literally saving you money! REASON: Because it’s there’s a lot of fabric & because it’s got black in the print, it balances a black fitted under layer for a winter outfit. Black opaques tights work equally as well to add warmth to the legs. BONUS: Hides stains – perfect for busy mums! REASON: It’s printed using a smaller scale print, with no white or large plain patches for stains to be seen. Guaranteed you’ll actually forget how long ago you washed it!?! It’s like city camo, or should that read ‘jungle camo’ as technically it’s inspired by a leopard? REASON: The drapey fabric is soft enough that creases fall out when hung after laundering, plus the camouflage effect of the pattern as mentioned above helps too! RESULT!! Ok, so now i’m pushing it…. So I hope I’ve illustrated how a well chosen print dress can give you an incredible range of looks, what ever the season. It’s all about understanding the features you’re looking for. The more of these features from my list above, the more reason to buy it! 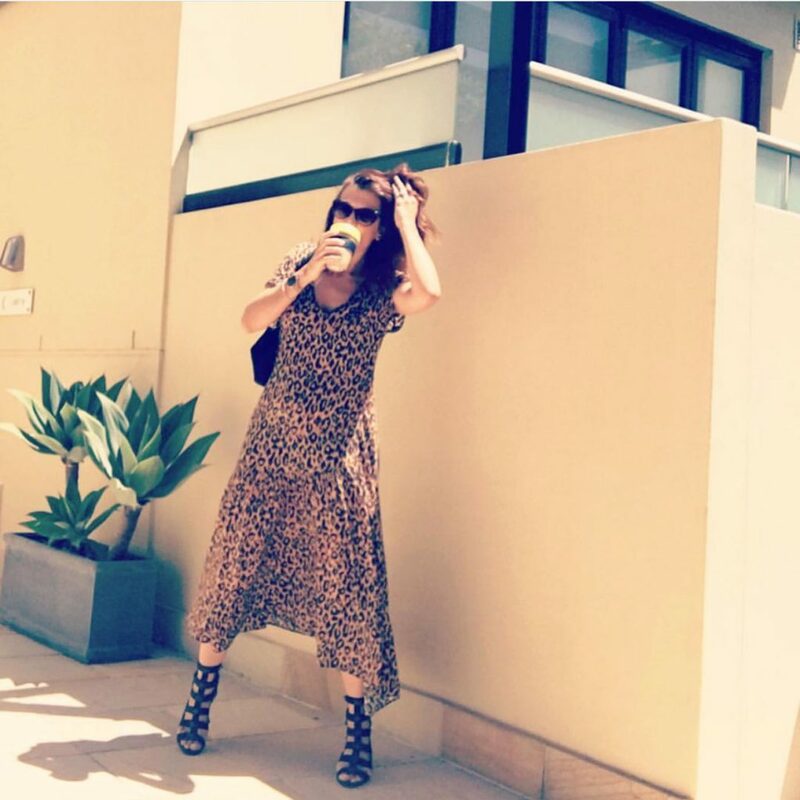 Why buy 5 dresses when you can buy just 1 and restyle it 5 ways? Save your money for something completely different to add to your wardrobe or put towards saving for a ‘big’ purchase you’ve had your eye on? Prefer to shop with me? Then contact me today to book in! 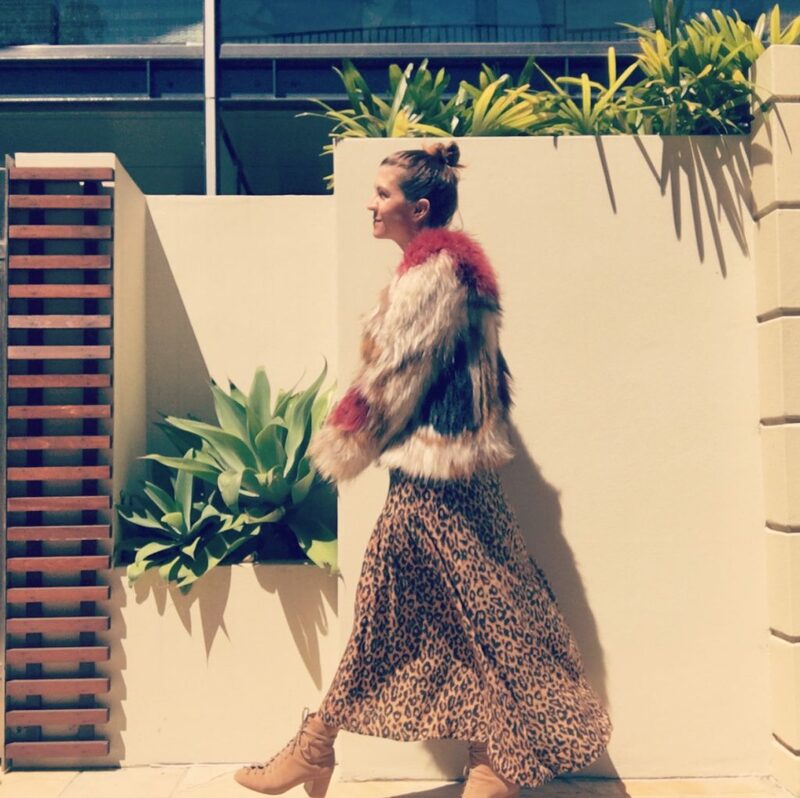 Adding Value To Your Wardrobes Sydney! SHOP SMART & WEAR MORE OF YOUR CLOTHES, MORE OFTEN.